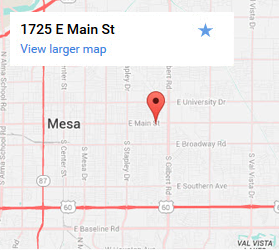 If your trailer isn’t living up to its full potential, Straight Line Suspension in Mesa can help with alignment or suspension for commercial and recreational units. Our facility is designed to efficiently handle trailers of any size with cutting-edge diagnostic equipment and highly trained mechanics. Repairs often require ordering parts, which can add to lost time when you’re in a hurry. Supplying parts is part of our job. We keep high-grade replacement parts and accessories on-hand and do u-bolt fabricating in-house so there’s minimal downtime for you. We are committed to returning inoperable trailers to the road as fast as possible while keeping costs low for drivers and fleet owners. Is Your Trailer Aligned and Wired Properly? Don’t let alignment or electrical issues decrease the quality of your driving. Poor alignment can cause uneven tire wear and decrease fuel economy, whereas a broken tail light can lead to safety problems. The vehicle pulls to one side. Trailer brakes apply longer than normal. Trailer tires are disproportionately worn down. Trailer frame is poorly aligned. Trailer braking, indicating, or tail lights not functioning. For a safe, smooth, and shock-free ride, Straight Line Suspension offers to install Flexiride Torsion Axels for a wide range of trailers. We sell and install full beam and half axles that can handle up to 7,000 lbs. Our team of welders can install it to your baseplate, giving your trailer fully independent suspsension that is durable and built to last. Contact us for trailer repairs today! 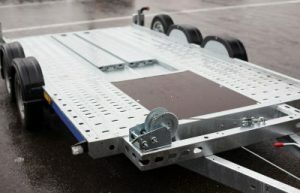 Trailers need to be in top condition in order to avoid problems on the road, and we know how stressful it can be to drive with the nagging feeling that something isn’t right. Let our trailer repair and maintenance solutions help make your trip less hazardous for other drivers and more enjoyable for you.